Oh Barb with your coke-bottle glasses, your mom jeans, and your perfect eye rolls. There’s something in your charm and wit that made you so endearing to us, the viewers of Stranger Things. Speaking with IGN, Matt Duffer—of the Duffer Brothers—noted how fans reacted to the character’s death and assured those reading that there would be “repercussions” in the event that the show is picked up for a second season. While she probably won’t come back (it could’ve happened), he ensures that her death will be explored. “It’s not like her parents are like ‘Oh Barb left. She died!’ Season One actually takes place over the course of six or seven days – it’s a really short period of time. So part of what we want to do with hypothetical Season 2 is to explore the repercussions of everything that happened,” he said. 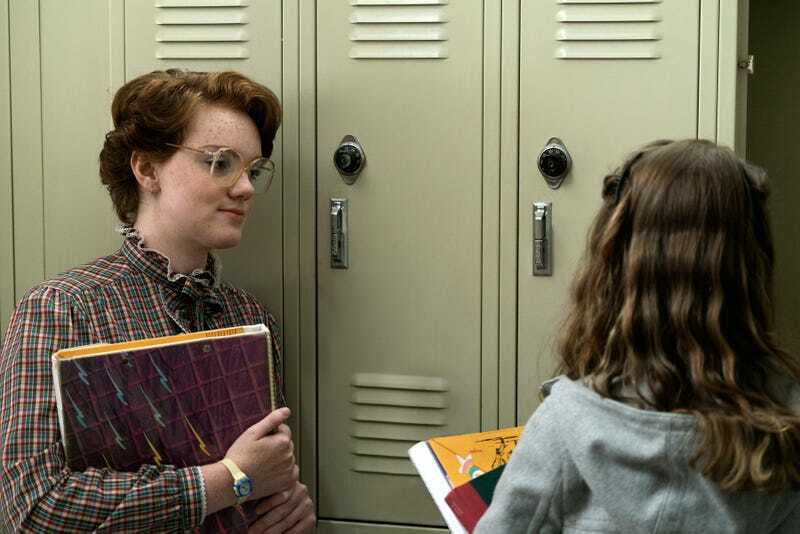 Barb, played by newbie, 19-year-old actress Shannon Purser, is one of the breakout characters of Stranger Things, a show that was filled with breakout characters. But this case was different. She only appeared in three episodes (and in only two alive), where her disappearance by Steve’s pool motivated her friend Nancy to eventually investigate the Upside Down. Otherwise though, her time meant little to the actual story. Just as we started to get to know Barb, she was fridged. More strangely (heh) is that beyond Nancy, her disappearance is barely addressed. Nancy speaks to Barb’s mother once by phone, but not following the brief investigation that pops up. Considering the frenzy that occurred in the town after Will went missing, there seemed to be little care given to Barb—a throwaway line about her car being found, but little else. Not even an extra scene with her parents. In a show that emphasizes the power of friendship, Barb’s treatment seemed like a letdown. The creators don’t want us to think they slighted Barb in any way. It still leaves a bad taste in our mouth that Barb’s story was virtually nonexistent in the first season. Whether this is course correction after the surprising popularity of the character or not, it seems we might something to conclude her story after all. Of course, that depends on if Stranger Things gets renewed. Looking at you Netflix. How Have You Lived This Long Without the Stranger Things Type Generator?